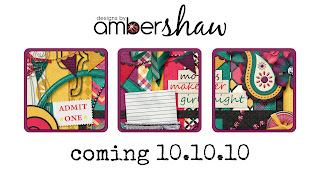 designsbyambershaw: SNEAK PEEK - enter to WIN!! Hello Digiland and Happy Day! With my "new" name change at the beginning of the month, my amazing Creative Team has helped me in doing some new stuff here on the blog. With their help, we have had giveaways all month, freebie after freebie, gorgeous eye candy, some throw back fun, and now you will get to meet the faces behind all of the gorgeous layouts you see here on the blog. With that, said - there have been some bumps on the road, and most of those caused by me! Go figure! Last week, there SHOULD have been a sneak peek of My Comfort with a chance to win, but alas, I dropped the ball on that one! So today's sneak peek is a chance to win AND a chance to win My Comfort in a retroactive sort of a way :) Hip Hip Hooray there will be 2 winners picked on Saturday 1/28 and announced Sunday 1/29. 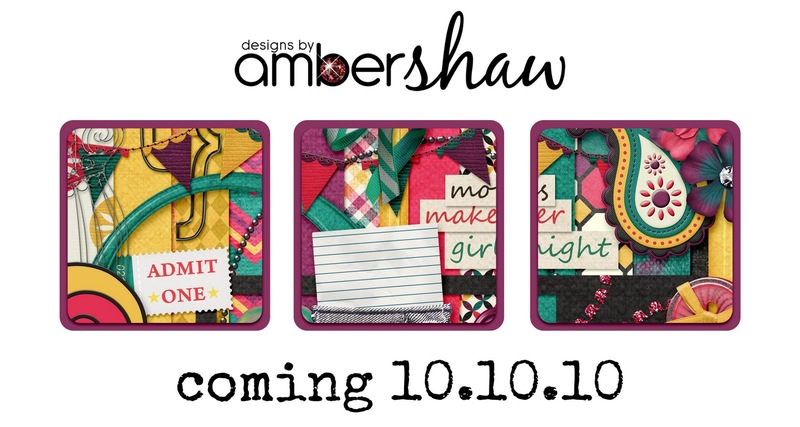 Without further ado, here is this week's sneak peek that will release on Friday 1/27/12. It's a bit funky and lots of fun and if only you could see behind the scenes the layouts the Gems are making - WOW! As always, leave a comment on THIS post to be entered to win! Wow those colors are awesome! Can't wait to see the layouts everyone makes! Wow, two chances - awesome! Thanks and count me in! Two chances to win! Thanks so mcun.